The "free day" discussion while doing the BFL Challenge is always a most popular one. No wonder, since food and eating is one of life's true pleasures! BFL Director and Champion Porter Freeman puts it this way: "Free day" means just that--you are "free" to stay on the program with all nutritious meals or "free" to have the cheat meals." Porter, by the way, had none---Zero, Zip-- during his 12 week challenge back in 1997. I'm not suggesting that everyone has to be that disciplined, but instead I would encourage competitors to have a single (or possibly even two) cheat meal(s) per week , rather than a full day of unbridled freedom, when doing the Challenge. 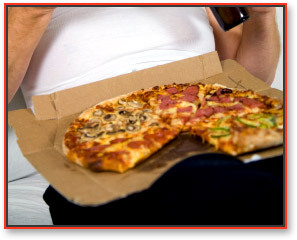 While we do like to reward hard effort, an awful lot of uneeded calories can be consumed with a full day's gluttony. After all, most people got to their current state of "fitness despair" by making each and every day a "free day". As you stay focused and start to see real results, somehow I imagine that the rewards from "Discipline" taste better than any "forbidden food".